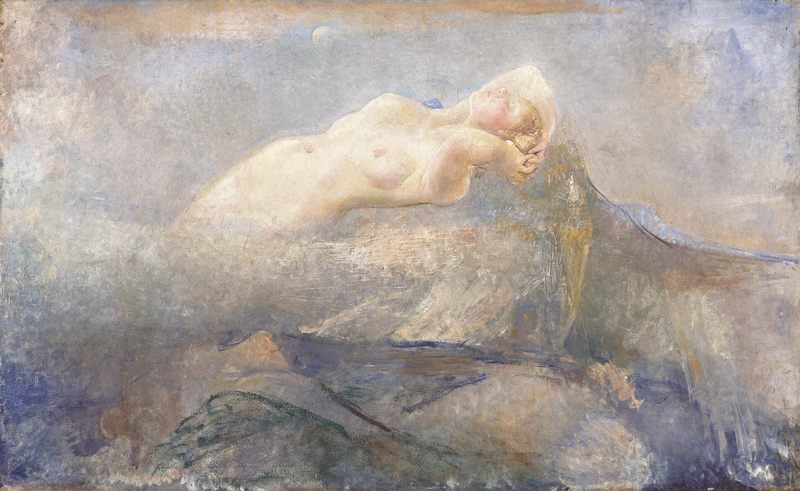 A mystical scene depicting a naked woman lying across what appears to be a mountain range, her hands reaching back clasped behind her head and her eyes closed. Her lower torso disappears into a mist to the left, a pale moon shining overhead. Painted predominantly in blue, grey and lilac tones.